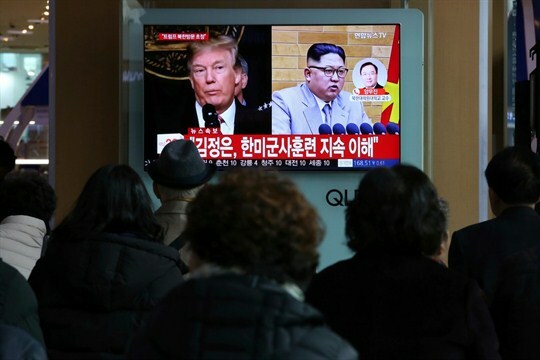 A TV screen at the Seoul Railway Station shows North Korean leader Kim Jong Un and U.S. President Donald Trump, Seoul, South Korea, March 9, 2018 (AP photo by Ahn Young-joon). The Korean Peninsula has long been a very dangerous place. Over the past several years, it became even more so as the North Korean regime began testing nuclear weapons and—most recently—ballistic missiles that could threaten the United States. Alarmed at this, the administration of President Donald Trump has pushed back hard and repeatedly stated that it will do anything necessary to counter this threat, including the preventative use of military force.